The supplied waterproof Li-Ion battery pack, BP-279 (1570mAh typ. ), provides 14 hours* of operating time. 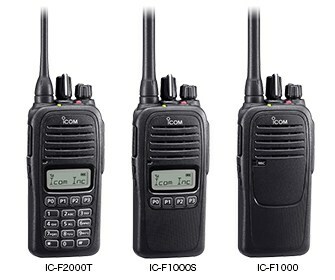 The IC-F1000 series has built-in 2-Tone, 5-Tone, CTCSS and DTCS signaling capabilities for group communication and selective calling..